This alert gives notice to a recent incident of harassment of a minor that occurred within the boundaries of the 16th District (Jefferson Park). In this case, the victim was walking eastbound on Carmen Ave from Milwaukee Ave when the male offender followed the victim for approximately 3 blocks. The offender maintained a distance of approximately 150 feet. When the offender lost sight of the victim he began walking into residential gangways and yards searching for victim. This alert gives notice to residents of the 018th District (Near North) and riders of the CTA Red Line of several Aggravated Batteries that occurred in the Chicago Ave Station of the CTA Red Line on the date of December 29th, 2018 at approximately 7:12 p.m. In these attacks, the victims were approached, surrounded and attacked by large groups of teens without provocation. 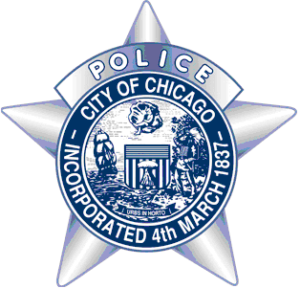 This alert gives notice to recent armed robberies in the South Chicago and Auburn Gresham neighborhood on beats 632, 634, 423 and 431. In these incidents the victims were approached by 3-4 male black offenders at which time offender #1 produced a handgun demanding any money/property from the victims. The other offenders would then go through the victims pockets taking USC, cell phones and wallets. They are last seen fleeing on foot and then jumping into a Red Ford F150 pickup truck bearing IL license #1549586B which has previously been reported stolen. On Sunday, December 30th, 2018 at about 9:14 p.m., a male pedestrian was struck by a vehicle in the intersection of 76th Street and Martin Luther King Jr. Drive. The pedestrian suffered life-threatening injuries. The vehicle failed to stop at the scene to render aid and exchange information. Reportedly, the vehicle is a grey in color, 2-door, 2018 Dodge Challenger. The front bumper with front grill parts were left on the scene. The front bumper had Illinois license plate #AY65420 still attached. If found, the vehicle is to be held and preserved for possible interior evidence. The vehicle may or may not still have the rear license plate attached. 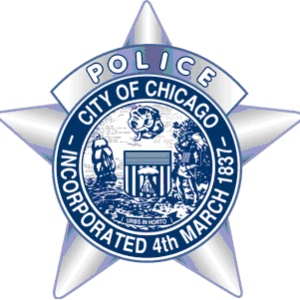 The Chicago Police Department needs the help of the community to solve this Hit and Run. This alert gives notice to recent Vehicular Hijackings that have occurred within the boundaries of the 019th District. In these Hijackings, the offenders approached the victims while they were seated in their vehicle or immediately after they had exited. At that time at least one offender produced a handgun and demanded the victim’s keys and/or ordered them out of the vehicle. In two incidents, Ride-Share drivers were targeted and in another, a pizza delivery driver was called to the address of occurrence. This alert gives notice to the residents in the 15th District (Austin) of three recent robberies. In these robberies one or two African American male offenders approached the victims on foot after exiting a grey colored 4-door vehicle. One offender announced a robbery, displayed a handgun and demanded property. After receiving the property the offenders fled in the grey vehicle. This alert gives notice to residents of an attempted criminal sexual assault that occurred in the 6th District (Gresham). On December 28, 2018, the victim was attacked when she exited her residence to leave for work. The offender approached the victim from behind and placed her in a choke hold while trying to remove the victim’s clothing. The offender fled eastbound in the south alley of 83rd St.